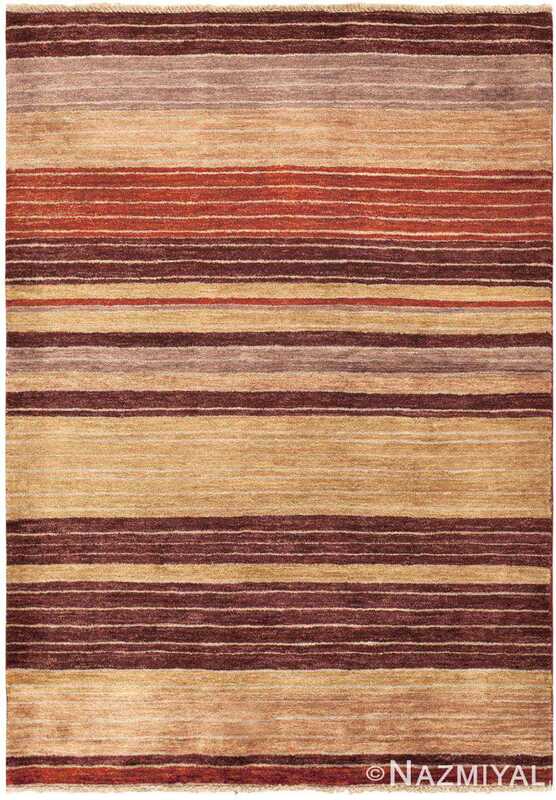 Small Modern Silk and Wool Nepalese Rug, Country of Origin: Nepal, Circa Date: 21st Century/ Modern Rug - Featuring a beautiful design, this modern contemporary carpet Nepalese production effectively showcases the possibilities that are still inherent in modern rug weaving. 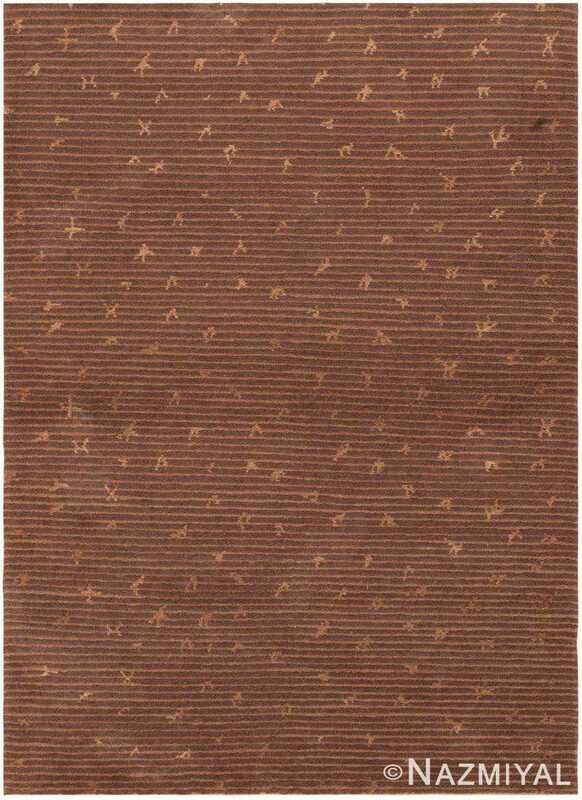 Rendered in a graceful contemporary style, this modern rug from Nepal features a warm and subtly textured bronze-colored field decorated with a spacious vine scroll pattern. Charcoal gray outlines hug the redwood floral botanical motifs, which feature rich burgundy undertones that are beautifully offset from the bronze'ish field. Softly contrasting outlines highlight the fluid lines and graceful curves that traverse this wool and silk rug from Nepal. The gentle vine scrolls feature delicate stems and meandering curves that are embellished with flourishing foliage and casual blossoms with large magnolia petals. 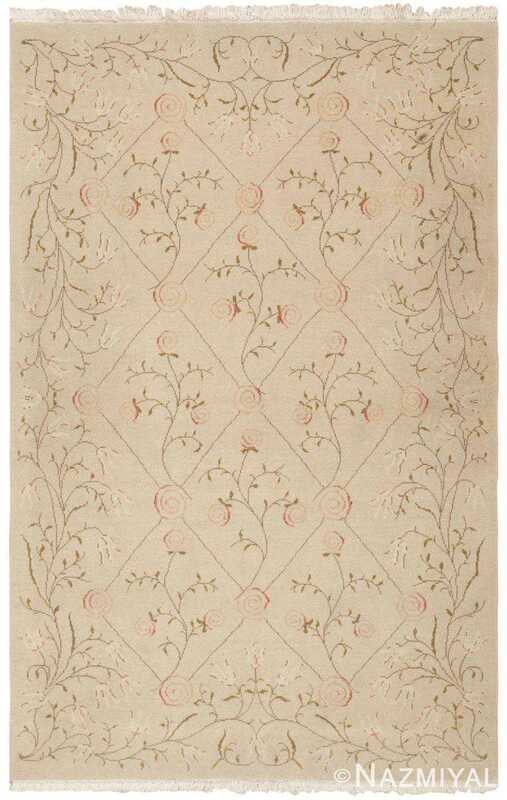 This understated rug features a magnificent tonal color scheme that incorporates variations and a textural abrash that emphasizes the casually elegant style, elevating an already impressive design. 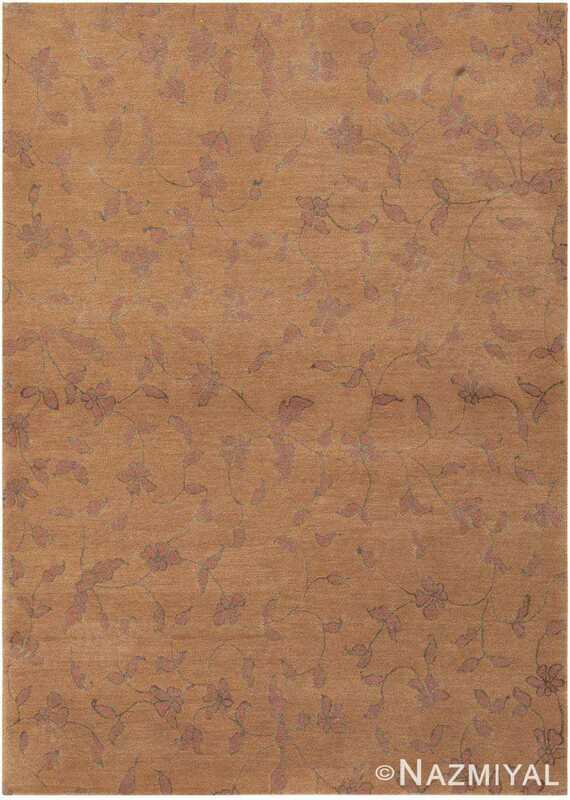 A beautiful example of a modern small scatter size rug, this Nepalese rug is an alluring and charming composition.